An American couple on holiday in Florida have an unusual memento of their vacation as each partner discovered part of the fossilised remains of a prehistoric shark tooth. Last month, Texans Wes and Kerry Kirpach were holidaying at the beach resort of Venice (Florida) and during a dive off the coast to look for fossilised teeth they found the matching halves of a tooth from a Megalodon shark (Carcharodon megalodon). Venice is on the Gulf of Mexico coast of the Sunshine State, situated around fifty miles south of Tampa, it is regarded by many fossil hunters as the “shark tooth capital of the world” because of the wealth of shark fossil material divers and beachcombers can find. A large fossil tooth from a Carcharodon megalodon. The couple have dived looking for shark teeth on many occasions and Wes was delighted to find a 9 centimetre long broken shark’s tooth, a fossil from the ferocious, whale-hunting Megalodon, which some scientists claim may have reached lengths of over fifteen metres. Kerry found a similar sized tooth just a hour later. Once the two pieces were examined, the cracks and breaks in the fossils could be seen to match each other, the couple had both found pieces of the same tooth. Such an occurrence is extremely rare as depositional and tidal action will often disperse fossil fragments over a wide area, however, given the large number of fossils that have aggregated in the sea off Venice, it seems that unlikely events such as this are possible. A fully grown Megalodon shark may have had up to 290 triangular teeth in its jaws and it has been claimed that the largest of these predators with its enormous jaws could swallow a Great White Shark (Carcharodon carcharias) whole. The teeth of sharks are embedded into their fleshy gums and are not attached directly to the jaws. These teeth are replaced constantly during the life-time of the animal with some sharks losing more than 20,000 teeth. Replacement teeth steadily move forward as older teeth at the front are lost. 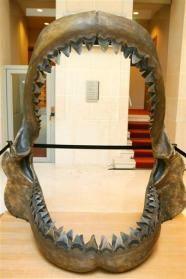 Shark teeth fossils are relatively common in a number of marine fossil deposits. The broken tooth found by the Kirpach’s may be as much as four million years old. Fortunately, for divers and for others who venture into the sea today, the Megalodon shark is believed to have become extinct around 1.6 million years ago. Cool, Megaladon is one of my favorite sharks close to the great white. 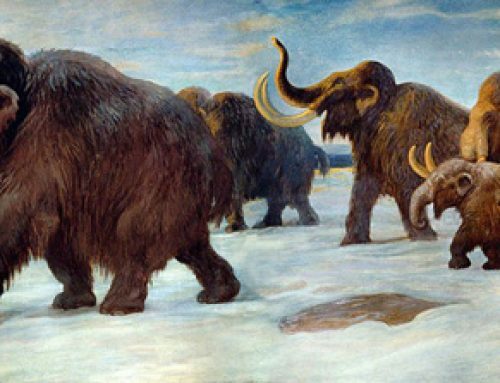 Keep posting cool stuff, I like extinct creatures.